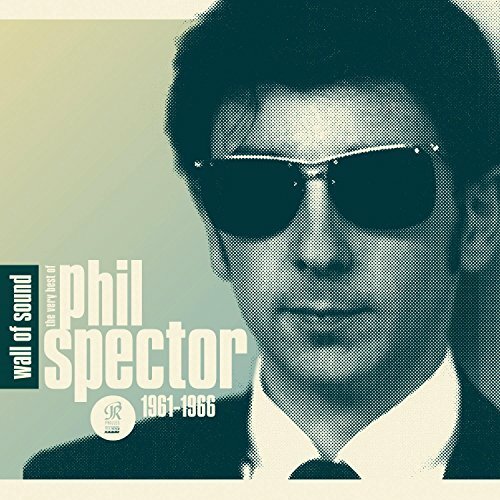 Widely known as the wild man of rock, producer Phil Spector is responsible for some of the most sublime and representative rock music ever made, especially in the 1960s. After working with the Beatles and then with other bands in the70s, he withdrew from the music business. He was convicted of second degree murder in 2009, and is incarcerated in a California prison. 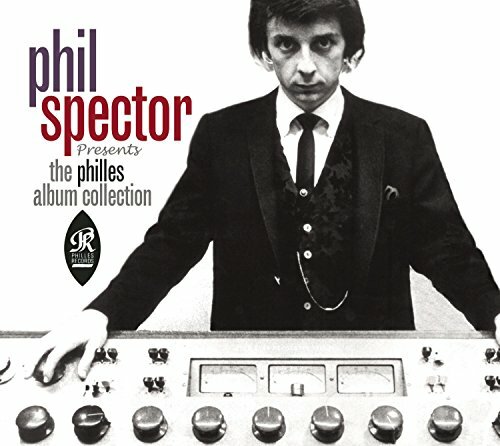 Even if you're not sure exactly who Phil Spector is, if you came of age anytime from the 60s until the 80s, you've been touched by his music. But you also have more than likely heard his name on the news if nothing else, concerning his scandalous trial and conviction in 2009 for the murder of Lana Clarkson, his actress girlfriend, in 2003. Spector's fame and celebrity, however, go far beyond such recent events. While currently serving a 19 year sentence in prison, he remains a super-rich record producer, songwriter, and architect of some of the greatest rock and roll of our times. He's justly famous for his big hits, but he's also known for his reputation as a gun lover, as a ruthless businessman, as a compadre and producer of at least 2 of the Beatles, and in his later years as an unpredictable, off-kilter, dangerous character. For example, he verbally trounced Tina Turner at her ex-husband Ike's funeral in his eulogy, among many other strange public displays over the years. Spector is a true American celebrity, a tragic hero for some and an ill-tempered buffoon for others. Spector was a musical prodigy of sorts, with a tragic family life to deal with that shaped him for better or for worse. Born in New York in 1939 to a Russian Jewish clan, when he was 10 his father committed suicide. The Spectors moved to Los Angeles, where young Phil discovered that he could play the guitar, and that he had a talent for songcraft. He played in bands throughout high school, and when he was 19 he and his group The Teddy Bears had the first number 1 hit of his career – To Know Him Is To Love Him. Along the way, Spector began to learn his way around the recording studio, and when the group broke up in 1959, he was already on his true path - producer. His life's journey, however, illustrates the dark side of the music business - a business often filled with darkness by death, abuse, tragedy, egomania and more. He had learned how to make records the way he wanted to, but he was also smart enough to get a co-writing credit on his hits whenever possible. 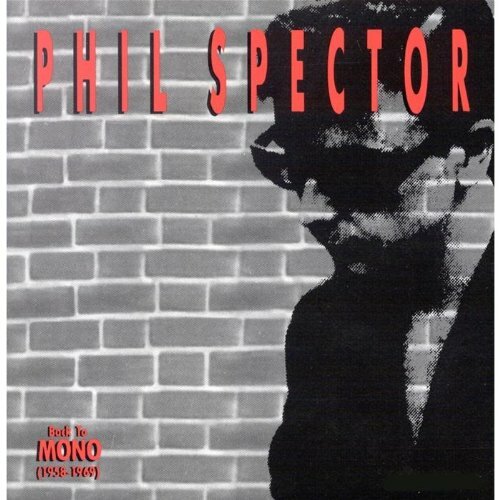 After some preliminary work for other labels, Spector started Phiiles Records and continued his string of hits. Using his “wall of sound” approach, he carved a niche in rock that will never be forgotten. Besides being almost single-handedly responsible for the girl-group phenomenon and the wall of sound, a list of his hits from 1960 to 1966 reads like a rock and roll lover's dream: Spanish Harlem, Pretty Little Angel Eyes, I Love How You Love Me, He's a Rebel, Be My Baby, You've Lost That Lovin' Feeling (the most-played song in radio history), Unchained Melody, and River Deep Mountain High, among many others. River Deep was, in Spector's opinion, his finest work yet. But the song, performed by Ike and Tina Turner, failed to make a substantial dent in the American charts. Sensing a change in the business, he retreated and kept quiet for a few years, marrying Ronnie Spector (the voice of Be My Baby) in the interim. He met Allen Klein, manager of the Beatles at the time, in 1970, and Klein took the famed producer to England. His idea was to have Spector put together an album from the ill-fated Get Back sessions, then languishing while the mop-tops moved on to record their last album, Abbey Road. Applying strings, rearrangements, and other studio trickery, Spector produced what would become Let It Be, a number one worldwide smash, and the last record to be released by the Beatles. McCartney hated the results, and maintained that Spector had killed the album, but Lennon and Harrison fell under his spell. Both were starting work on solo projects, and he became the producer of choice for Imagine, All Things Must Pass, Concert for Bangladesh, and other ex-Beatle recordings. Spector overstayed his welcome with Lennon, reportedly brandishing a gun in the studio, and his working relationship with the most famous foursome finally came to an end. He once again went into semi-seclusion and stayed out of the public eye. 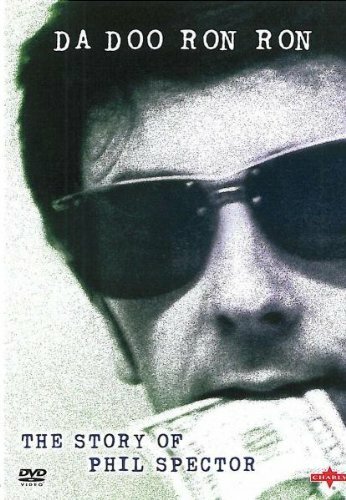 A nearly fatal car crash in 1974 left Spector with over 700 stitches on his face and head, and permanent scars internal and external. This disfigurement is probably the reason that he began wearing spectacularly eye-catching wigs, especially as he grew older. He became active once again in the 70s, producing an album universally hated by Leonard Cohen fans, and even working for the Ramones behind the boards. Meanwhile his reputation as a gun-waving short-fused, mentally aberrant recluse grew with each passing year and publicized incident. After producing End of the Century for the Ramones in 1980, Spector became basicallly inactive in the music business, and was considered a recluse by the music world. Other than an occasional item in trade publications, he kept a low profile. But in 2003 he became a household name once again. An actress he had been dating named Lana Clarkson was found shot to death in the foyer of his Hollywood mansion. She had been shot in the mouth, and Spector claimed that the gunshot was self-inflicted. Testimony from his driver suggested otherwise, with Spector reportedly saying to the driver that he thought he had killed someone. As the tragedy became newsworthy, at least 4 other women he had dated came forward with stories of him using a gun to intimidate them, and the threats were apparently taken seriously. After a trial and a retrial, he was sentenced to prison for Clarkson's murder, and today he sits in a jail cell while his work is still enjoyed on satellite radio around the world. Spector has been in several long-term relationships, and has been married 3 times, with the current marriage being the strangest. He met wife Rachelle, 41 years younger than him, shortly after his arrest for Clarkson's shooting. They were married in 2006, and she has stood by him while he remains imprisoned, running his business affairs as well as being a loyal mate. She is a singer, and has written and sung tributes to Spector, even making accompanying videos dedicated to her love. Spector's children, mostly adopted, have not been kind to him in remembrances, and his reputation as a wild man continues to grow. His legacy as a songwriter and producer will likely survive his personal problems, however, and his name will forever be associated with some of the best rock records in history. Hank Williams Sr death at the age of 29, one would think, would have ended his music as well. But sixty years after he died, people of all ages still know and love his songs. frugalrvers, Do you know how Ringo Starr felt about the Let It Be album, and what Paul McCartney's disappointments were? Genius and madness are often flip-sides on the same disc. The only question here is, which was the "A" side? Thank goodness this crazy creep's former girlfriends came forward to help get him locked away, hopefully till his dying day. Just b/c this wacko had some talent, doesn't give him the right to murder whenever he feels like it. Rest in peace Lana Jean Clarkson. Well I watch the movie on HBO. 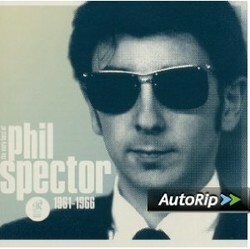 I belive that Phil Spector did not shot his girl friend. I don't belive he was crazy. Phile, I wish you were not locked up, but I hope you know that there are people who belive in you, that you could not have commited this crime, that she shot her-self. I hope you see the day when you are free again Your home is waiting on you. Thanks for your sweet critique! Reading this article about Mr. Spector sure beat listening to the news reports I heard. Currently in prison? What a waste. Though I must say I'm surprised. Thought they were gonna figure out a legal loophole to let him walk since he's such a rich guy. He wouldn't have been the first rich person to ever commit a crime and never see a prison cell. But I'll refrain from a detailed discussion of justice, crime and punishment, since this is categorized under the Music topic. :) Excellent article. Mike, thanks for the comments! Yes, we are looking forward to seeing that HBO movie coming out, too! We heard about that and bet it will be really fantastic. There was an article I saw a few days ago that said Al Pacino would not meet with Phil in prison to "prep" for the role...gotta find that article again! That is a great article, frugalrvers! The documentary seems quite interesting. 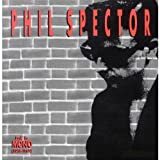 There is also the upcoming HBO's movie, Phil Spector by David Mamet with Al Pacino in Spector's role that shoud be really interesting!